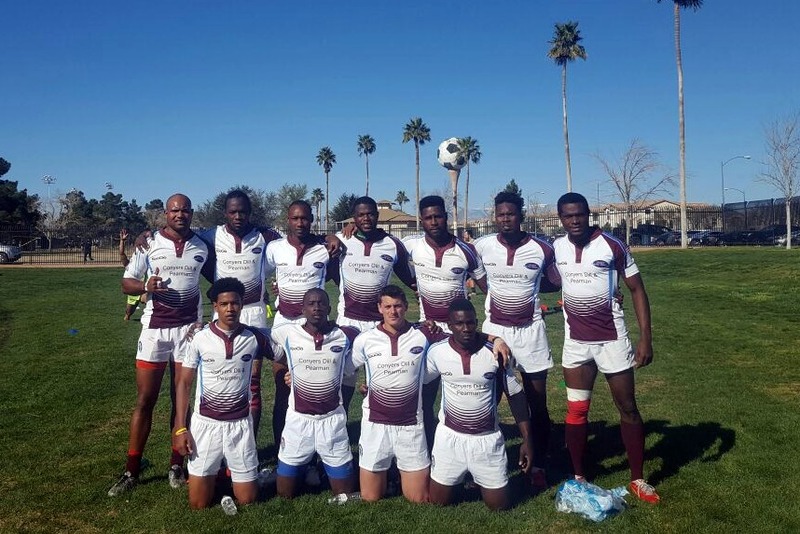 [Updated] Bermuda Rugby players Tashon DeSilva and Dan Cole have been selected to represent the West Indies at the Las Vegas Invitational Sevens Tournament this weekend. The two athletes follow in the footsteps of fellow Bermuda players Derek ‘Bobby’ Hurdle Jr., Nathan Brown, Freedom Burrows, Jonathan Cassidy, Kris Furbert, Tom Healy, Dan McGavern, Josh McGavern, Rob Steinhoff and Tom Steinhoff who represented the West Indies between 2000 and 2009. 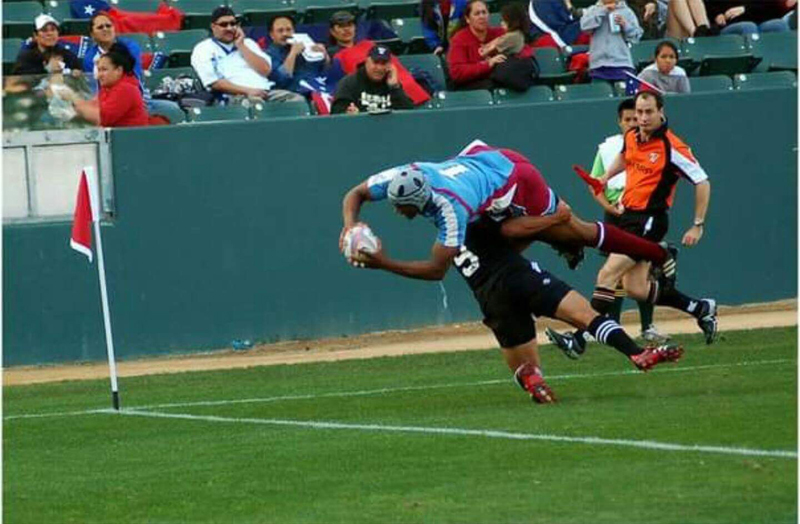 The side will compete in the tournament’s Americas Cup [formerly Elite Division], which features top teams from around the globe, including current Bermuda Coach Waisale Serevi’s Select Team who have won the competition for the past 4 years. The pair both made their Bermuda debuts at the same tournament five years ago, and have been mainstays in the squad ever since. Impressive performances by DeSilva and Cole at the Caribbean Championships and Glendale 7s over the past few years impressed Barbados Coach Joe Whipple, who returns to the helm of the West Indies team he coached from 2004-2009. Coach Joe Whipple commented, “Clearly, to be selected to play for the West Indies is important to the players in our region. I am very honoured to be working with these players, many of whom I have coached and some I have not. “We are thankful to our benefactor who had the vision to revive an important legacy in West Indian rugby. Rugby Sevens has significantly improved over the last few years in the region. Tom Healy, who was part of the last representative West Indies team, at the 2009 Hong Kong Sevens, was full of pride for his Bermuda teammates, saying, “Tashon has had his best season playing rugby this year, captaining the national 7s team and being the standout player of the Bermuda rugby league. “It’s just reward for the sacrifice and commitment he displayed over the last year. Dan is another of Bermuda’s standout players who leads by example on the pitch. Dan McGavern echoed Hurdle’s sentiments by saying, “The West Indies Rugby Union gave me an unbelievable life experience to be involved with the first combination of the area’s finest rugby athletes back at the turn of the century. 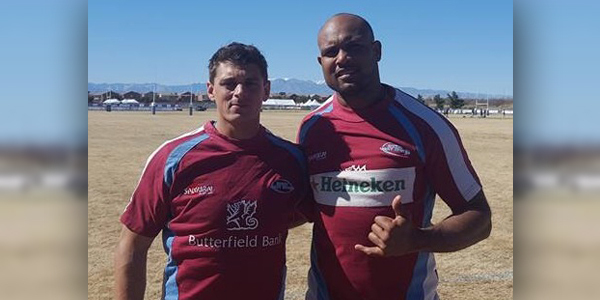 DeSilva, the current Bermuda National 7s Team Captain and Coach of the Berkley Institute and Beyond Rugby, commented, “I would like to thank Coaches Tom Healy, Waisale Serevi and the whole Atavus team who have helped me develop a great deal. “I would also like to thank [National Sevens Team] Manager Jonathan Cassidy for his encouragement over the years. When he told me I had been selected to play for the West Indies, my heart stopped, my body started shaking with shock, I couldn’t believe it. Cole was similarly honoured about the opportunity saying, “I am very excited about the re-emergence of the West Indies Rugby 7s team. It’s a great opportunity for players in the region to make the next step up from our national teams and compete at a higher level. 2017 West Indies 7s Squad: Claudius Butts [Guyana] [Captain], Jae Bowen [Barbados], Andre Cabrera [Trinidad & Tobago], Dan Cole [Bermuda], Tashon DeSilva [Bermuda], Oshane Edie [Jamaica], Patrick King [Guyana], Enrique Oxley [Barbados], Jeron Pantor [Trinidad & Tobago], Dario Stoute [Barbados] & Sean Ward [Barbados] Joe Whipple [Coach] Alex Rogan [Physio]. I love dan Cole, I want to be in him when I become a great rugby player. Well done to my boy Tashon. Keep up the good work bro.Such a huge accomplishment. Continue to make Bermuda and the West Indies proud. Wishing you guys much success. The both of you are role models!